Agency: All AgenciesAmerican Realty of Dubuque, Inc.Bricks And Mortar Real EstateBrissey RealtyColdwell Banker Network RealtyColdwell Banker/GoodmannContinental Realty DubuqueDave Sheehan Real Estate CoDBQ Property Group Inc.Eagle Ridge RealtyEast Iowa Real EstateEXIT Realty DubuqueFor Sale By OwnerGary Conrad RealtyJohn Herrig RealtyNew Eagle Realty LLCOld Northwest Land Co.,IncRealty Pros by Locators Ltd.Remax AdvantageRJ Schiltz & Co.
New Price! 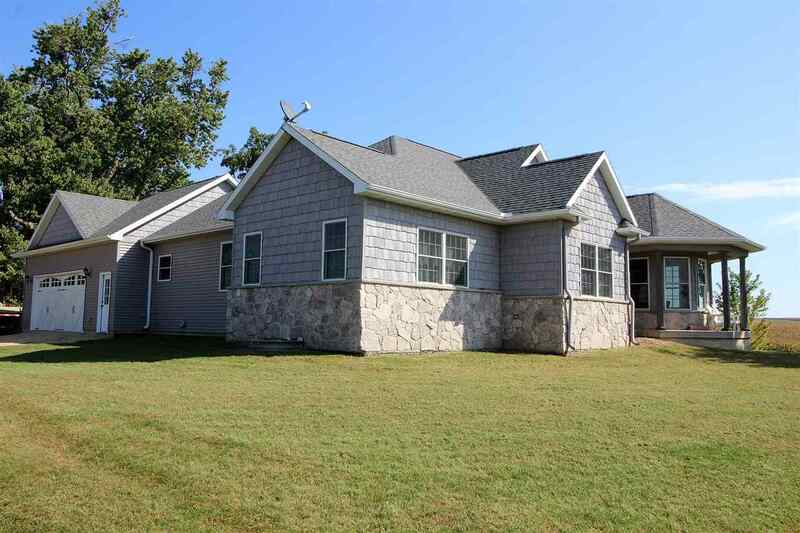 Spacious and extremely elegant 3 bedroom, 3 bath home located on 1.76 acres within Delmar, IA. You will appreciate space in this kitchen with a walk in pantry, ample cupboards, beautiful granite counter tops, a one of the unique features is the pot filler at the stove. The double sided gas fireplace is located in the dining and living room. The open concept of the main floor hosts plenty of natural light., Bamboo floors through out on the main level of this home. The master bedroom is large and has a walk through master bathroom to an oversized walk in closet. Laundry is on main level of this home. Entertain easily in the lower level in rec room/bar space as well as the designated family room. Large storage with access to the garage. Home has Geo Thermal heating and cooling. There is a 58x88 shop with its own entertainment space as well as work area. This home is one of a kind and the owners have put the time and thought into each area of this property. Call today for your showing.